Wheatgrass is one of the healthiest substances on the planet. It packs in an amazing amount of vitamins, minerals, enzymes, antioxidants, and phytonutrients into each tiny blade. Barley grass is similar, with B vitamins, chlorophyll, carotenoids, and more! This light, natural flavor makes the greens easy to drink mixed with water and many other beverages, but peppermint also provides benefits of its own. 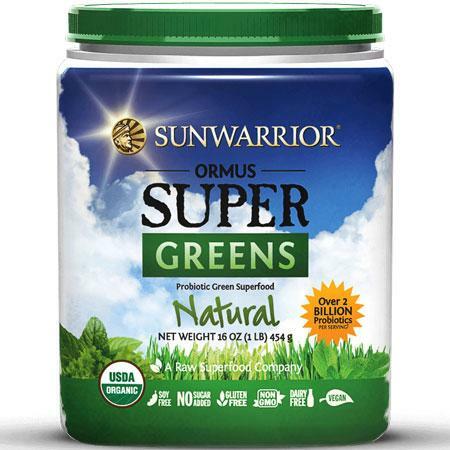 The probiotics in our greens are cultured within the greens themselves, not added after the fact. This makes all the nutrients more bioavailable while building up and feeding the beneficial, natural flora and fauna of the digestive system. Ανακατέψτε, ανακινήστε ή αναμείξτε με το αγαπημένο σας ρόφημα (οι φρέσκοι χυμοί λειτουργούν εξαιρετικά ή προσθέστε το στο αγαπημένο σας γάλα ή smoothie).